I am pleased to announce the nomination of Brian La Rose (dlbalr) as co-admin of the HabsWorld forums. Brian has been a part of the team that crafted the HabsWorld project back in the spring of 2002. He has been a moderator since the beginning of the forum in May 2003. The admin is responsible for the good technical functioning of the board, and a leader in carrying out the vision for the community through his moderators team. It is the duty of the admin to promote valued members to moderation capabilities, at the recommendation of the moderators team. While the admin job is to ensure the direction of the community in the large sense of the word, the moderators are really the ones that are the most involved in day-to-day board-related activities (such as merging threads, warning members, pinning topics, schedules for special threads, etc.). Their participation on the forum is essential, often setting or influencing the tone of conversations and the mood of the forum. In that respect, I would like to thank Brian for his excellent collaboration as a moderator for the past 8 years. He is a model in keeping his temper and a good attitude, and has shown a great dedication to the success of this community. Brian will remain on the moderators team until more members join the moderators team. I will also remain as co-admin of the forums until further notice, helping my new co-admin to grasp all the technicalities behind this wonderful forum software we have! Although this is a hobby or a past-time, the management of an online community like ours requires lots of work that often goes unnoticed. So please give a hand to Brian. Thank you Brian for your work through the years. Fun following the Habs with you and benefit from your perspective! Taking my hat off for Brian, not as much as for the forum than the website itself. Shame on anyone who never spent a few minutes on the Cap Hit Sheets or the tons of articles provided on Habsworld. Lots of them are coming from him. Brian you are one dedicated workhorse. Thank you for all the work you have put in and all the work you are taking on. I know you make a real difference to this site and will continue to lead by example. Alright, now that things have calmed down a little, here's my 'speech' of sorts. First off, my sincere thanks for the nomination and appointment and also for everyone's kind words. I was contemplating having some long, drawn out rambling, but instead I'll keep it on point...as best I can at least. As sakiqc noted, I've been around since Day 1 so I've seen the ups and downs of this board. The hope here is that in taking over as an admin and working in tandem with him, we'll be able to bring this board back towards what it was a few years ago. By no means is this a condemning on the current situation, but there is always room for improvement. The key issue to me is membership. If there's one thing the events of the last 24 hours have shown me is that we still have a passionate group of fans; I saw some on here last night that I hadn't for years. I'm hoping it won't take years for another appearance. We're never going to compete with the HFBoards of the world in terms of membership and that's never been our intended direction. But, having a few more voices to discuss what are some of the best discussions out there would go a long way in improving things for everyone. In recent weeks, we've seen some new members come in so I'm hoping we're starting to head in that upward direction already. Long story short, for those who casually read the board, feel free to contribute more; if you signed up to become part of this community in the past, don't hesitate to jump in, even if the posters are different now. To those who left, the door is always open to return. I'd also encourage current members to invite a friend or two. Discussion and its quality are the lifeblood of this board. The more, the merrier. For those wondering if any changes are intended, there's nothing in the plans. We've spent parts of the last few months overhauling the look of the board while adapting to new software and new features. The reception has been largely positive on the new boards so we're not going to mess with a good thing...nor could we really, we've gone over the new features pretty much with a fine tooth comb. - I intend to remain a mod indefinitely, even as an admin. I have been one from the beginning and frankly wouldn't know what to do with myself otherwise. That said, in time, I will be looking to add at least one more mod in anticipation for what I hope will be an upswing in activity moving forward. I haven't started thinking of candidates or getting the opinions of the other mods/admin yet (I will before any decision is made), but if anyone is interested, please let me know. - On that note, anyone interested in helping out on the website portion of HabsWorld is encouraged to contact me or sakiqc. As always, feel free to ask questions or make suggestions, you all know how to find me. I'm looking forward to having a more active role in taking this forum towards bigger and brighter things...and I don't mean brighter looking templates! Thankyou Brian and nonne chance. Congrats on the promotion Brian. You definitely deserve it, probably just from your time spent on calculating cap hits, and thats just a small portion of your contribution. I wasn't lying when I said I didn't have any notable changes planned, but we have made one 'cosmetic' change to the board. Gone is the Audio/Video files subforum which was originally nested within Habs Talk. 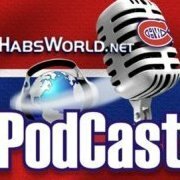 Those posts, mostly from 2006, have been moved into Habs Talk amongst the general posts. Also, the French forum has been moved from its independent spot into Habs Talk as a standalone subforum. When you click on Habs Talk, you will now see it topped above the posts within Habs Talk. The goal here is to draw more attention to it. Feel free to use that forum to talk about the Habs as well, or do like me periodically and try and string a couple semi-coherent sentences together to practice your French. Of course, forum rules still apply. Feel free to use that forum to talk about the Habs as well, or do like me periodically and try and string a couple semi-coherent sentences together to practice your French. Of course, forum rules still apply. Oui... mais les français savent bien comment sans sortir des règles... Non!!! Congratulations on your nomination, by the way. Yes, I knew that. I was referring to smart people always find ways to circumnavigate so as not to offend the faint of heart... just look at at the NHL spin doctoring vicious behaviour as hockey play, for a prime example. That said, Brian is one smart cooookie and his français is not something to shake a stick at. Hey, I've been around since day 1, too!